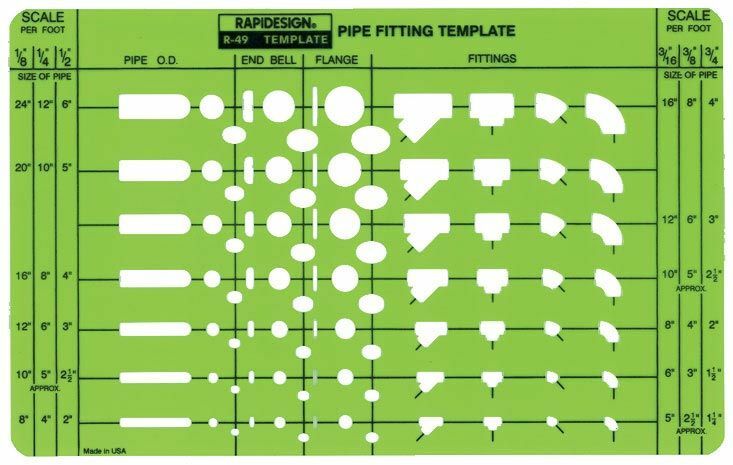 Pipe Fitting Contains: symbols for pipe, end bell, flange, and fittings in 7 sizes. Size: 5" x 8" x .030". 1,001 Questions & Answers for the CWI Exam SALE!